Wilbur Ross thinks the outcry about steel and aluminum tariffs is "a lot to do about nothing." The Commerce Secretary said on CNBC Friday that any price increases related to the new tariffs would be very, very small, and held up a can of Campbell's Soup to make his point. "In the can of Campbell's soup, there's about 2.6 cents — 2.6 pennies — worth of steel. So if that goes up by 25%, that's about six-tenths of one cent on the price of the can of Campbell's soup," he said. Ross continued: "I just bought this can today at a 7-Eleven ... and the price was $1.99. So who in the world is going to be too bothered by six-tenths of a cent?" Wilbur Ross on CNBC Friday. 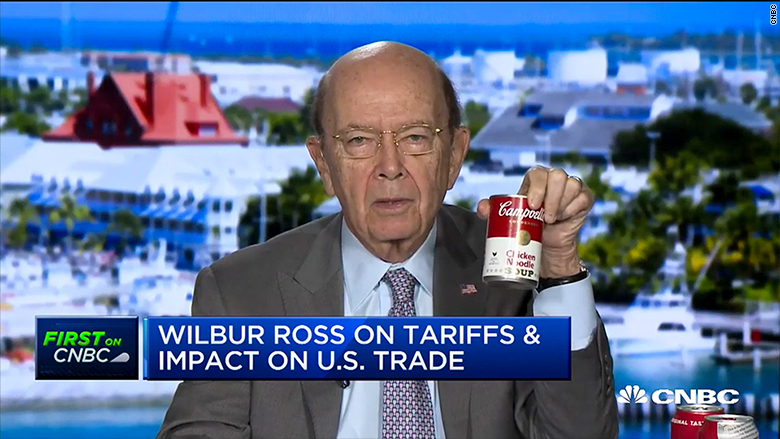 After Ross' CNBC appearance, Campbell's expressed its opposition to the tariffs in a statement. "Any new broad-based tariffs on imported tin plate steel — an insufficient amount of which is produced in the U.S. — will result in higher prices on one of the safest and more affordable parts of the food supply," a spokesperson said. Ross also said the cost of cars would increase only marginally due to the steel tariffs. "People talk about cars. There's about one ton of steel in a car, and the price of a ton of steel is $700 or so. So 25% on that would be [a] one half of 1% price increase, on a typical $35,000 car," he said. "So it's no big deal." Trump said on Thursday that his administration will impose a 25% tariff on steel imports and a 10% tariff on aluminum imports as early as next week, in order to prop up domestic manufacturers. Since then, a number of top U.S. allies and trading partners have threatened to retaliate against the United States if the tariffs are enacted and they are not exempt. The European Union, Canada and Australia all denounced the new duties following Trump's announcement. 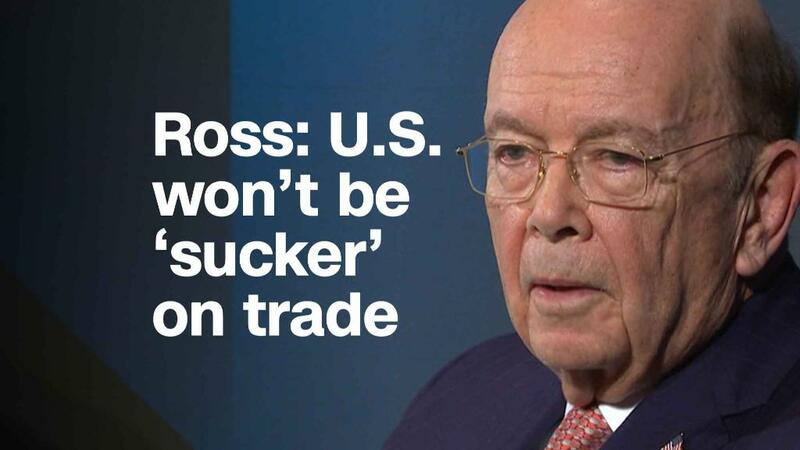 The tariffs have to be "broad" and "global in reach," Ross said, in order to solve the problem at hand, in which excess steel is dumped into the global market, hurting prices. Ross — himself a billionaire who made his fortune buying up distressed assets in steel and coal — went on to say that "retaliation is not as simple as the people who are crying that the sky has fallen." "Take a typical crop, soybeans," he said. " ... The only reason China or anyone else buys soybeans from us is that it's the cheapest price that they can get. So the first thing is, if they were to cut back on some agricultural products, it would cost their economies more." He added: "They will have trouble finding a substitute." American jobs are being hurt by the nation's growing trade deficit, Ross said, and we have to do something about that. "This is scare tactics by the people who want the status quo," he said. "The people who have given away jobs in this country."